Chris Nesi is certified in social studies and supervision and has inspired students and teachers at the middle, high school, and collegiate levels. Technology and its role in education are his professional passion. Chris is on the cutting edge of education technology trends and he is a creative, detail-oriented, and tech-savvy educator who is never short on innovative ideas, energy, and the desire to get involved in a school community. 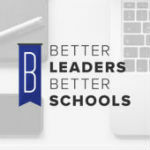 He has developed and presented professional development workshops to K-12 and collegiate educators and personnel about social media, connected learning, technology integration, and podcasting. New technologies are always becoming available and Chris enjoys expanding educators’ understanding and use of these innovations for personal and professional use. Chris is very active in the use and growth of his PLN which allows him to share thoughts and ideas with others and contribute to the many conversations happening in the world of education and technology. Chris hosts the House of #EdTech Podcast which explores how technology is changing the way teachers teach and the impact that technology is having in the world of education. He is also a co-host of the PodcastPD Podcast and founder of the Education Podcast Network! Are you looking for tools that are “Knocking down the walls of the classroom”?